Florence P. Riese, age 92 of Barron, passed away on Saturday, March 16, 2019 at Monroe Manor in Barron. She was born July 26, 1926, to Walter and Viva Petersen at New Auburn. After graduating from New Auburn High School, she attended business college in Minneapolis. On June 25, 1950, she married Walter Riese. 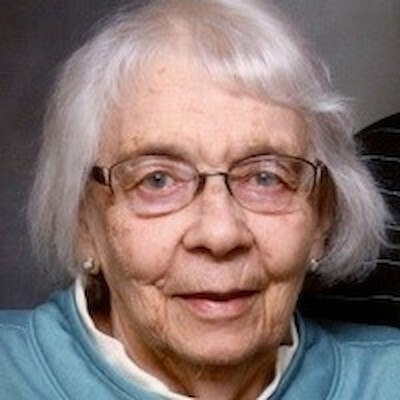 She was a long-time member of First Lutheran Church in Barron. She enjoyed playing the piano, knitting, and sewing. Florence and Walter traveled together all over the world. She is survived by Walter, her husband of 68 years; daughters Patricia (Carl Ball), Joanne, and Mary (Erik Riese); seven grandchildren and two great-grandchildren. She was preceded in death by her parents, daughter, Karen Riese Lowder and her brother, Earl. Services for Florence Riese will be held at First Lutheran Church in Barron on Saturday, March 23, 2019, at 10:00 A.M with Rev. Ron Mathews officiating. Visitation will be held one hour prior to services at the church. The family would like to thank everyone at Monroe Manor for their loving care. We would also like to thank all the neighbors on First Street for their help through the years. In lieu of flowers, memorials would be appreciated to the First Lutheran Church.